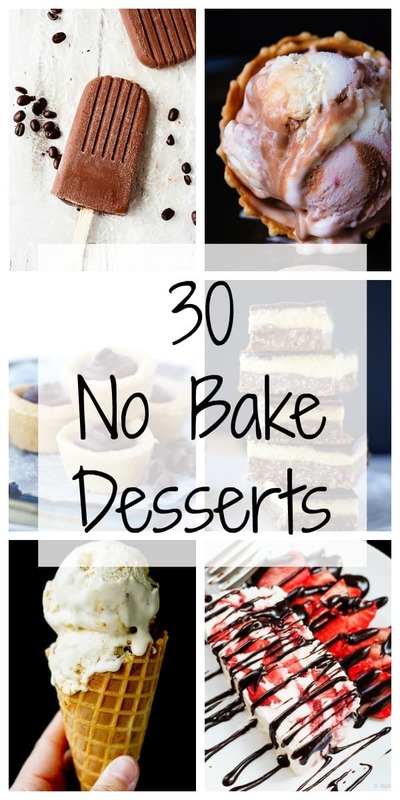 30 No Bake Desserts Recipes - Bake. Eat. Repeat. A great round-up of 30 no bake desserts for those hot summer days when you don’t want to turn on your oven! Fantastic desserts don’t need to be baked! So it’s insanely hot here this week. Summer’s almost over now so it finally decided to show up! So far it’s been okay, but we’ve had a lot of rain this year – which where I live is kind of weird. And it hasn’t been very hot. This week, though? It’s like a sauna outside – and our lack of air conditioning has been a little unfortunate! So I have not been in the mood to turn on the oven at all – don’t need any more heat in my house! We’ve been grilling all the things, eating lots of sandwiches, and loving the no bake treats. 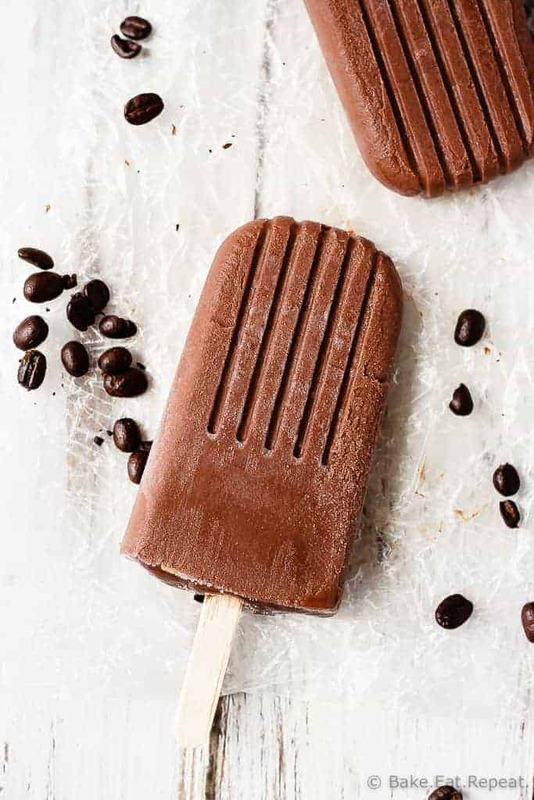 Since I’m sure we aren’t the only ones melting in the heat these days, I decided to round up a bunch of no bake desserts for you so you can have that sweet treat without turning on the oven and melting away. And, if nothing here tickles your fancy, I have a pretty fantastic no bake cheesecake recipe coming up tomorrow, so check back for that! The Best Nanaimo Bars from Bake.Eat.Repeat. 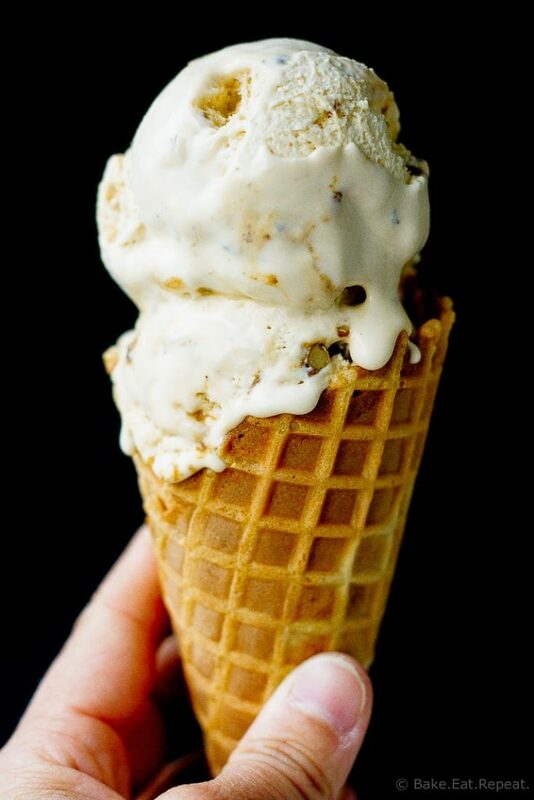 Molasses Pecan Praline No Churn Ice Cream from Bake.Eat.Repeat. 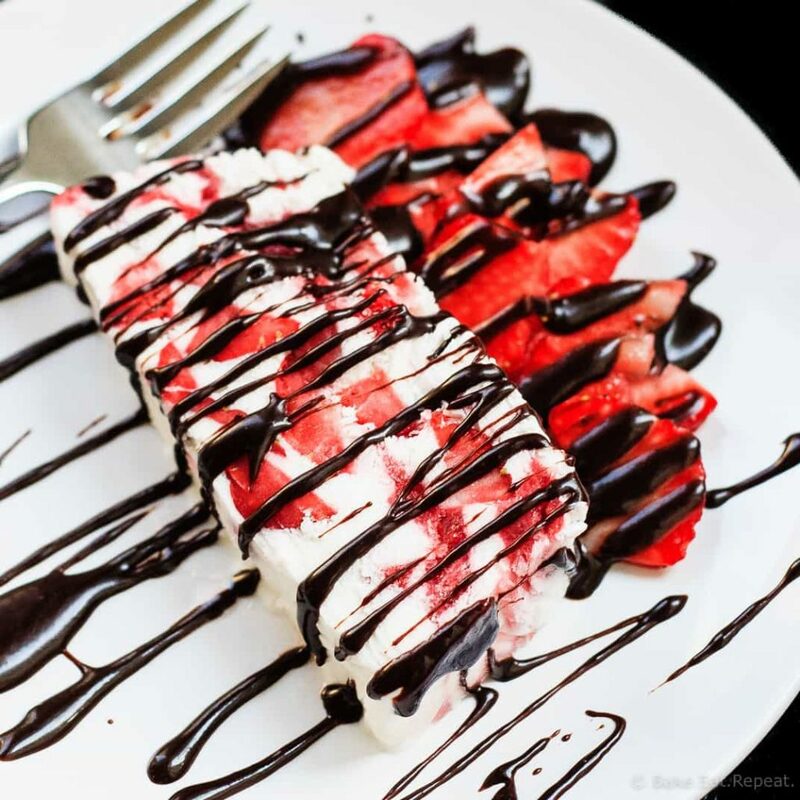 Strawberry Yogurt Terrine from Bake.Eat.Repeat. 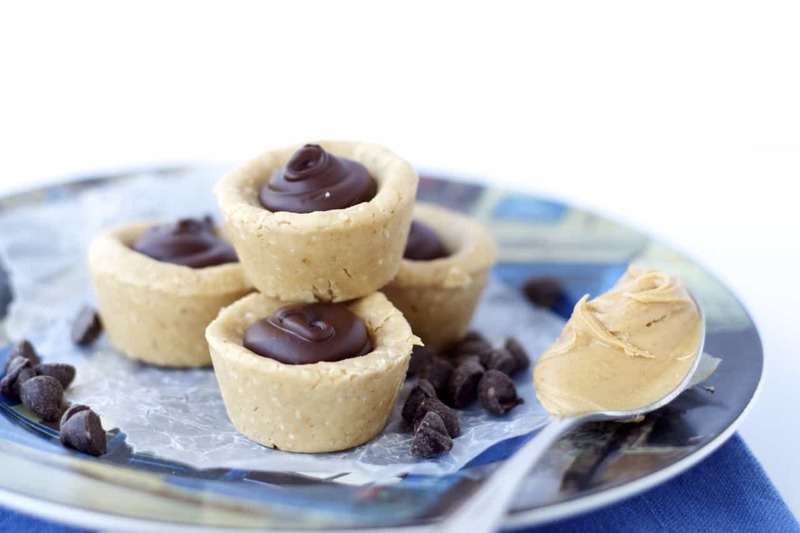 No Bake Peanut Butter Cookie Cups from Bake.Eat.Repeat. 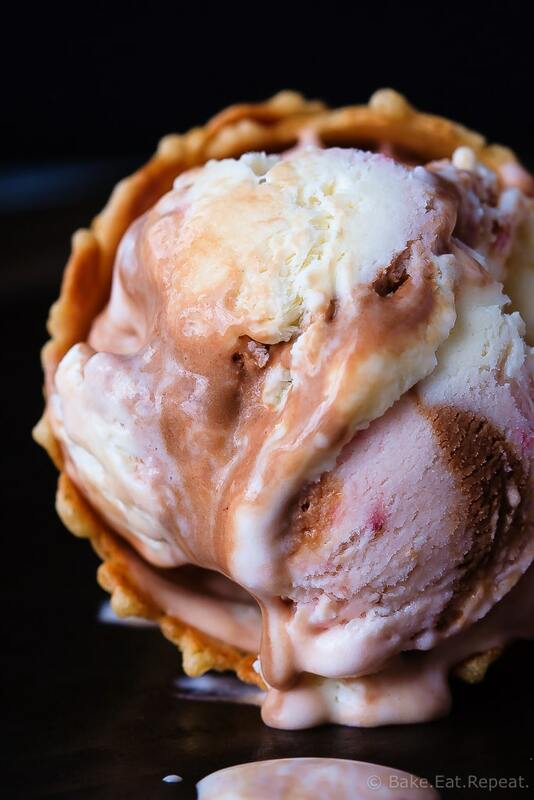 No Churn Neapolitan Ice Cream from Bake.Eat.Repeat.